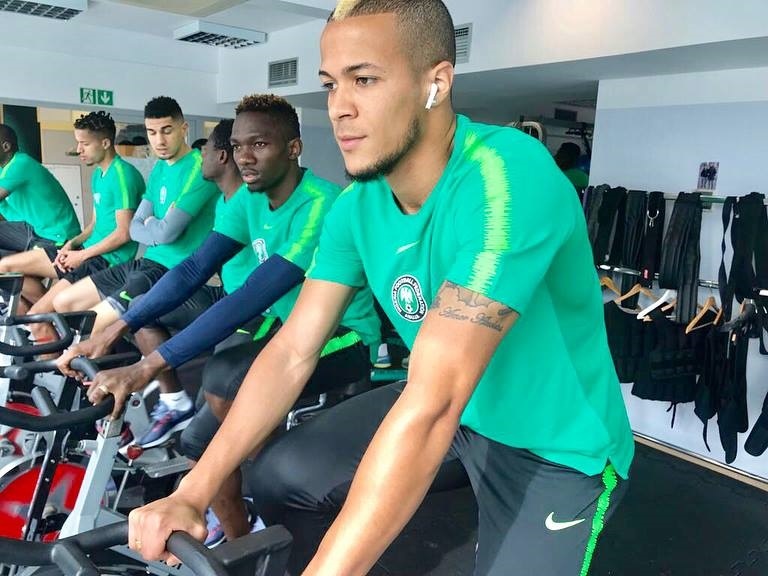 The early birds in camp are Isaac Success, Semi Ajayi, and William Troost-Ekong. Officials of the national team have announced that the Super Eagles will have their first training session by 5.pm on Tuesday as they get set for their crucial Africa Cup of Nations qualifying match against Libya. It is expected that the Super Eagles coach Gernot Rohr and 18 invited will hit the Ibom Hotel & Golf Resort, Uyo later today ahead of the first training session. Our training session today(Tuesday, October 9, 2018) holds at the training pitch of the Godswill Akpabio International Stadium, Uyo from 5pm. Reports suggest that only three players and the two assistant coaches are already in camp by the close of business on Sunday. It was gathered that several players who were expected in camp on Monday had difficulties connecting flights from Lagos to Uyo while Kelechi Iheanacho reportedly missed his flight from London to Lagos. The Super Eagles will need at least four points from these two game to stay in good stead to qualify for next year's AFCON.